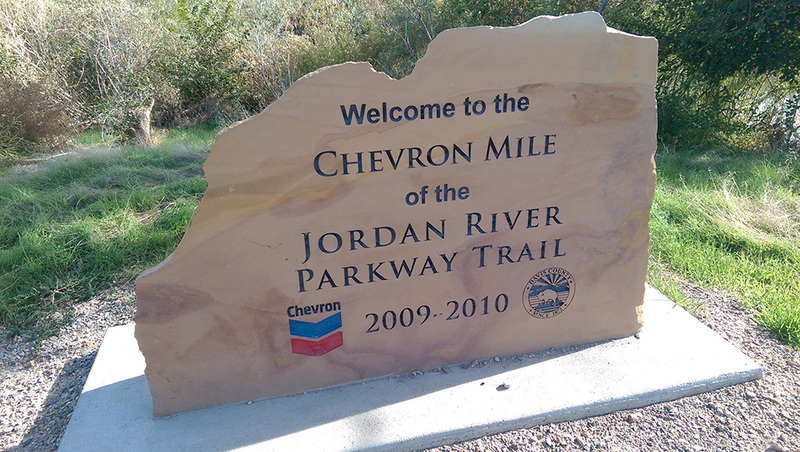 Earlier this year, we did a long ride on the Jordan River Parkway Trail from the Center Street Trailhead in North Salt Lake. As we began our southbound travels, I couldn’t help but look to the north and think to myself, “I wonder where that goes?”. We had already figured out this Center Street trailhead was the southern-most access point of the Legacy Parkway Trail since the actual border between the two is off under I-215 along what is called the “Chevron Mile”. This kind of curiosity always adds another thing to my list of things to do…and so, that’s what we did this weekend. 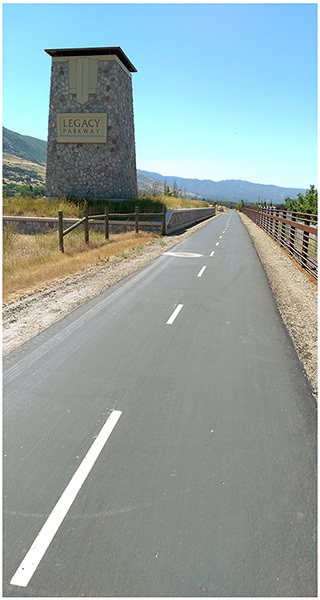 The Legacy Parkway Trail follows along the Legacy Parkway highway for 13 miles from North Salt Lake to a little bit beyond UTA’s Farmington Station. This 2-lane bike path is paved the whole way, has very little elevation change and crosses no streets – it’s really nice that way. Unfortunately, it also has no trees, no restrooms and no drinking fountains – which might not be so nice on a hot summer day. Coming from south Salt Lake valley, I don’t know that I’d make a special trip to ride the LPT. However, I do like how this route links the Denver and Rio Grande Western Rail Trail from the north with the JRPT to the south providing a ride opportunity from Roy to Saratoga Springs… now that would be a fun 50-miler (and then some)! We’ll have to check out the D&RGW on its own before looking at how we might complete all three at once. Until then, here’s a Google Earth KML file of the LPT with trailheads marked as waypoints to help you find a good place to start. 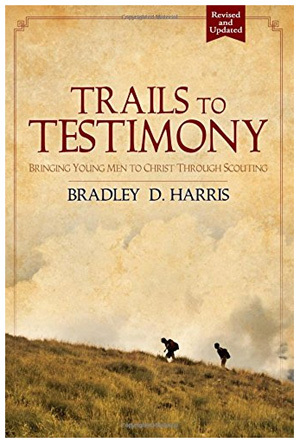 This entry was posted in Cycling, Merit Badges and tagged bike ride, boy scouts, chevron mile, cycling, d&rgw, davis county, denver and rio grande western, farmington station, legacy parkway trail, lpt, merit badge, north salt lake, rail trail, scouting. Bookmark the permalink.